2. Click on "Select Template". 3. In Active template section under Advanced Editing click on "Edit HTML/CSS" option. 4. 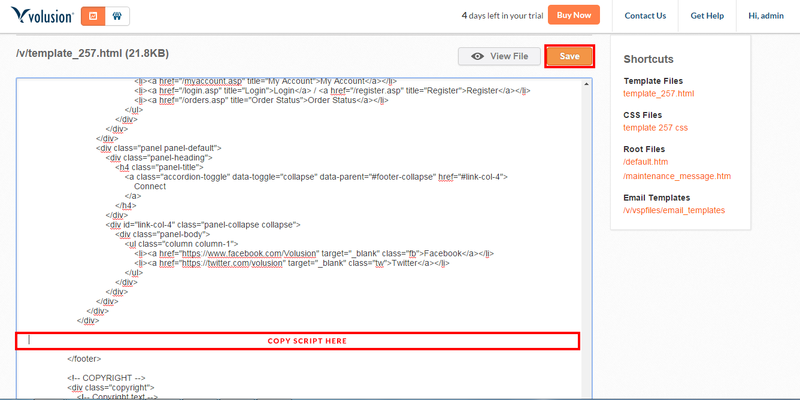 Paste the script in "template.html" file at the end of footer section.